Marana Unified School District teacher, Robin Mau, received the May 2018 Teacher Excellence Award during Teacher Appreciation Week. Ms. Mau, who has been teaching for 12 years, has spent the last five years as a 3rd grade teacher at Ironwood Elementary. During her time at Ironwood, Ms. Mau has worked with students in Odyssey of the Mind and Student Council; she has also served on various committees on both a district and school level. 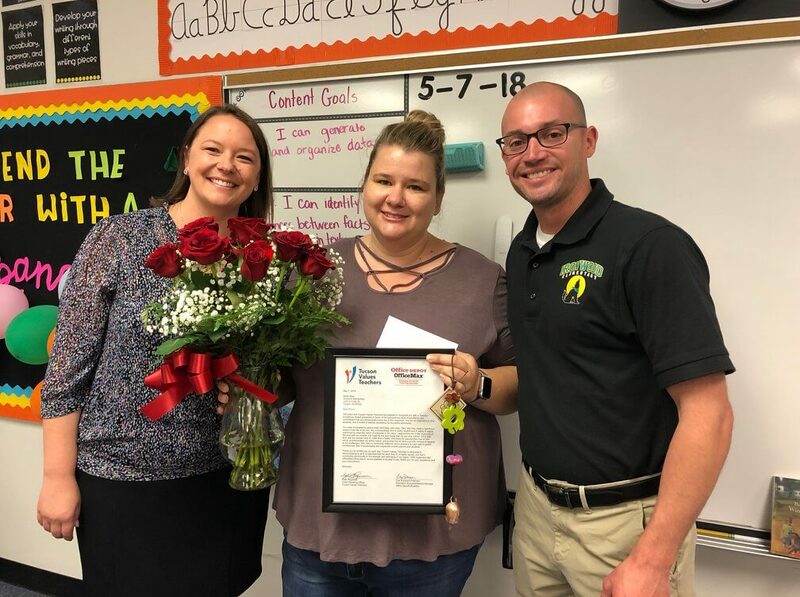 As part of the Teacher Excellence Award, Ms. Mau received flowers and a plaque from TVT, a $100 gift card from Office Depot/OfficeMax, a mini bell donated by Ben’s Bells, and pizza for her class from Humble Pie! 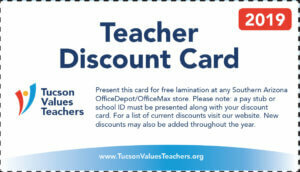 She also received $250 cash courtesy of Tucson Electric Power and Helios Education Foundation.